SAN DIEGO - Los Angeles-class fast attack submarine USS Scranton (SSN 756) arrived at Naval Base Point Loma in her new homeport of San Diego, Nov. 21. 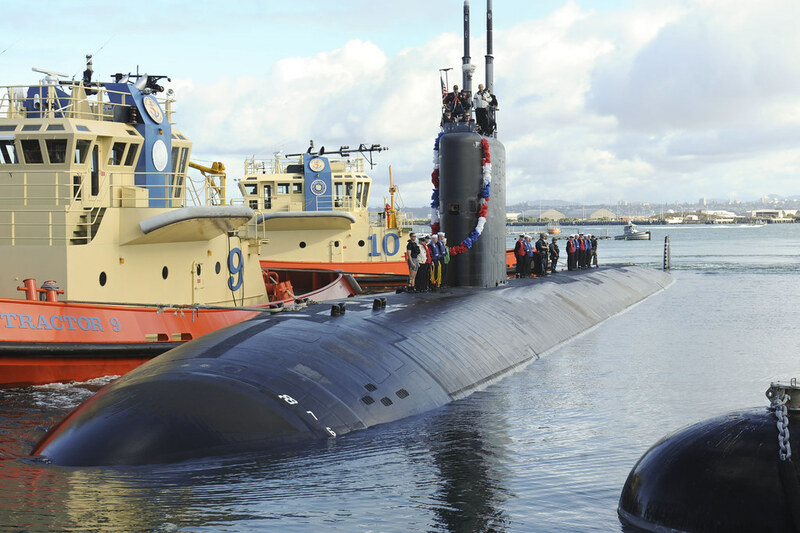 Scranton arrived after completing extensive maintenance at Portsmouth Naval Shipyard (PNS) in Kittery, Maine, and three months of operations at sea. "It's great to be home," said Cmdr. Ronald Warner, commanding officer of Scranton. "It's been a long trip, and it's great to be back with our families after being separated for quite a while." Scranton arrived in Kittery in 2014 to conduct a two-year engineering overhaul after leaving her previous homeport of Norfolk. During this period, Scranton received upgrades to major systems, including its fire control and sonar systems. In August, following the maintenance period, Scranton conducted sea trials to verify all maintenance completed was safe for use and conducted acoustic trials to assess the quality of her sonar systems. After certifying all the systems, Scranton transited through the Caribbean, the Panama Canal, and along the west coast to her new home in San Diego. "The amount my Sailors accomplished in the last three months is pretty incredible," said Warner. "We went from a crew that hadn't been to sea in over two years to a well operating team. We have at least three dozen Sailors that are wearing the submarine warfare insignia, or 'dolphins,' that weren't wearing dolphins before." According to Warner, while the crew has made many accomplishments in the past several years, having the chance to serve with his Sailors is one of the experiences he is proudest of. "If you look at the Sailors coming off this ship, they're all great Americans," said Warner. "It's very much a privilege to work with them." Named after the city of Scranton, Pennsylvania, located in the Lackawanna River Valley, Scranton was commissioned Jan. 26, 1991, and was built by the Newport News Shipbuilding and Drydock Company.